This particular case was about a test page – a development environment, only used for testing colors, layout, ux details. The page was never meant to be found by Google – the images were never meant to be indexed. But the precautions were not really sufficient – the test page was just ‘hidden’ under a subdomain. The URL of that subdomain was never submitted to any search engine, nor linked to from any other website. And you actually had to enter quite specific search terms if you wanted to find the test page and the dummy images – but you could actually find them – and that was not intended. We never really figured out why the test page and the dummy images actually ended up being indexed by Google. but of course – they were indexed. My guess is that one of the plugins tried to do a good job – but in the end we will probably never really find out. Anyways. Things happen. 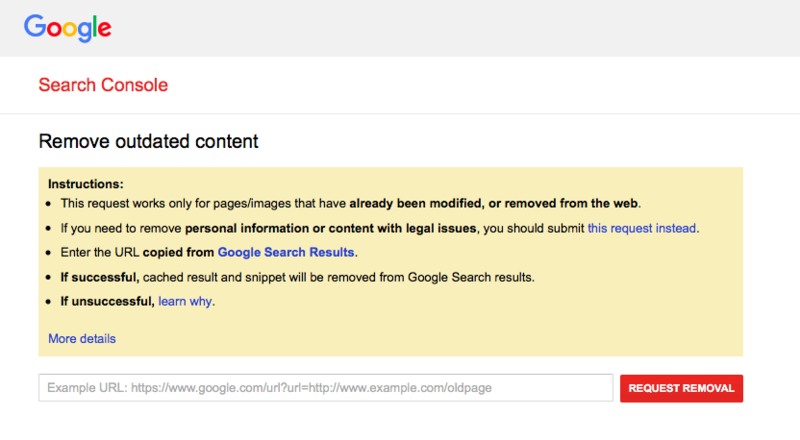 Now we had to remove the images from Google – as quickly as possible. 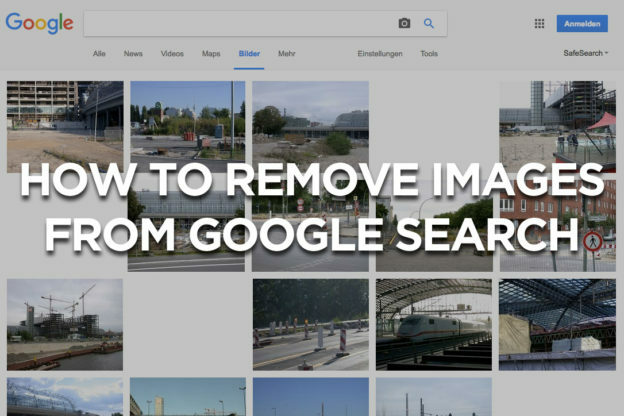 The fastest and at least to me also easiest way to get your images removed from Google image search goes like this: first you should delete the images off the web server – or at least you should block them in a way, that no search engine can ignore. Probably the most efficient blocking method would be to password protect the directory with a htaccess password protection. Most hosting providers have a user interface in the administration area you could use to quickly block a directory. You could however also tweak the htaccess file you find in the root directory of your homepage. This way in less than a minute all images could be offline – quite handy if you are dealing with hundreds or even thousands of images. If you don’t have FTP access and can not write or tweak a htaccess file you will probably have to delete the images through your CMS. But be aware that deleting them from the content area is not sufficient – in most cases the images would still be reachable in the image directory. The second step is to report the images to Google – or actually to report that the images no longer exist and that they should be taken off the index. Google has put up a form where you can report images and URLs – but it can be a bit hard to find: Webmasters > Tools > Removal. You will need to login with a vaid webmasters account in order to use that form. Basically only the person reporting the images has to be registered with Google’s webmasters program. The website, that contains the images you want to report, does not have to be registered prior to your removal request. All you have to do is first delete the images – or hide them behind a password protection. So from Google’s perspective you are basically helping them to remove invalid / outdated images from their index, improving the quality of Google’s search results. And basically every webmaster is welcome to do so, if he/she finds an outdated image in Google’s image search. To actually report an image you have to first find the image in the image search results page and then right-click on it and copy the link URL. Then paste it in the URL removal form. Here’s once again the direct link to the removal form: Webmasters > Tools > Removal. Removing images from Google that are located on a different server, for example someone else’s website, or a webserver that you don’t have access to, is a totally different thing. It is by nature a bit more difficult, than removing your own images – but it is still very well possible. First you should check Google’s Removal Policies. The most important part of the Removal Policies is probably this: “We also remove content in response to valid legal requests, such as copyright notifications that meet the requirements of the Digital Millennium Copyright Act.” So if the image you want to remove from Google is covered in Google’s Removal Policies, go ahead and ask Google to remove the image from Google search results through this form. You will be guided through a few steps to clarify how / where the images can be found – and why you want it to be removed. Since Google only shows what is already available online you should then also try to get in contact with the webmaster or technical support of the website where the image can actually be found and ask them to actually remove the image from the website. This entry was posted in Webdesign and tagged cms, google, image search, images, web development on May 12, 2016 by admin.